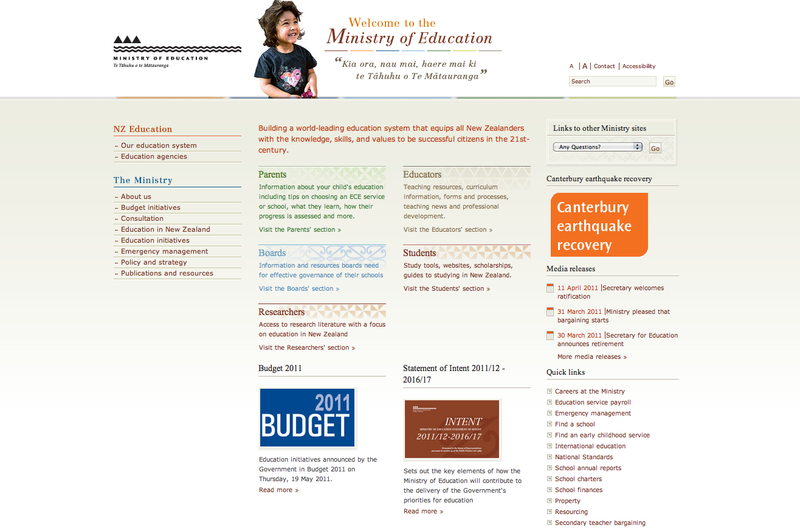 The Ministry of Education is the Government's lead advisor for the New Zealand's education system. It is where you can find out about budget initiatives, consultation, education initiatives, policies and strategies and where you can browse or download strategic publications, annual reports etc. The Early Childhood Education section is divided into two sections: ECE Lead, which provides information about leading, managing and administering early childhood education services; and ECE Educate, which provides information on how to ensure quality teaching and learning. 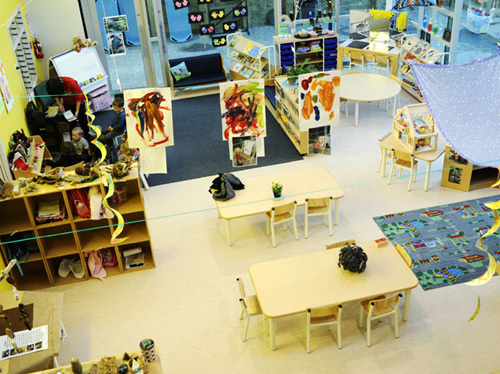 The section Premises and Facilities (ECE Lead - Centre-based Services - Premises and Facilities) is the closest to dealing with the architetcural qulaity of ECE centres. Other links on this page include: new services, general, food preparation and eating spaces, toilet and handwashing facilities, other sanitary facilities, and sleep. Does not hinder? Should the physical environment not be designed to fully support the curriclum's philosophy? Aerial view of early childhood centre layout. 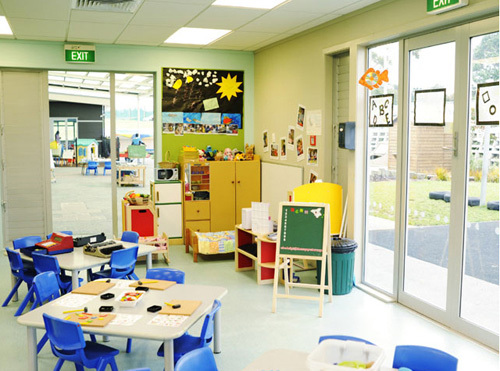 Different spaces within the early childhood centre. This section (New Services - Design and Layout of Premises) is certainly very basic and does not go into great detail or depth of how important the environment is for children's learning experiences and well-being. 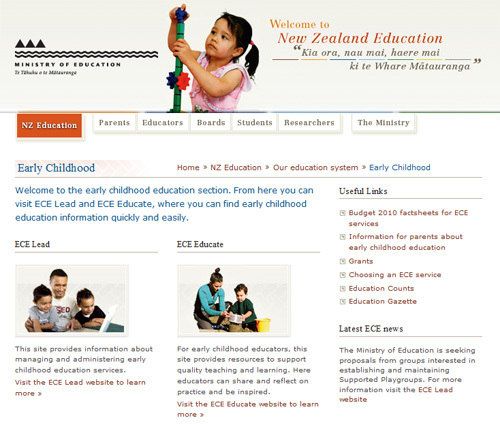 The above example images show a typical New Zealand ECE centre, which encompasses all of the 'requirements' - activity spaces etc…. Another section under ECE Lead is Establishing a centre-based service - Designing and building your service. This gives advice on 'choosing your site' , resource consent and 'design steps' which encourages developing a design in collaboration with an architect, teachers, community and local Ministry of Education office. 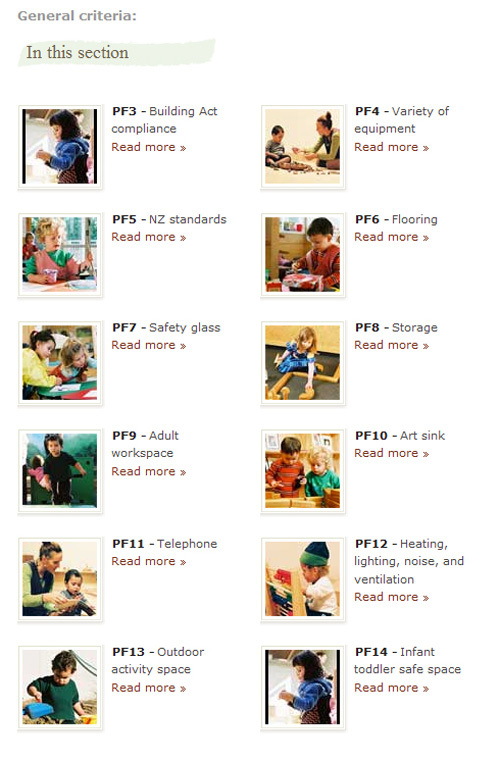 The Design and Build Scheme with Signature Homes, with examples shown above from the Signature Homes website, which offers early childhood providors a packaged design from a catalogue, which can be modified to their particular needs. The Centre Design Guide, which offers advice on creating various "activity areas" such as bathrooms, storage, sandpits etc. Renovating an existing building or building a new service, which offers a checklist of things to consider such as shaded areas, road access etc. 2. Contact regional Health Protection Officer (HPO) and discuss building plans. 3. Ensure plans comply with the Building Regulations 2004, as well as the Early Childhood Services Regulations 2008. The Ministry of Education's licensing assessment tool for centre-based ECE Services is also available for use. 4. Contact local Ministry of Education office for feedback. 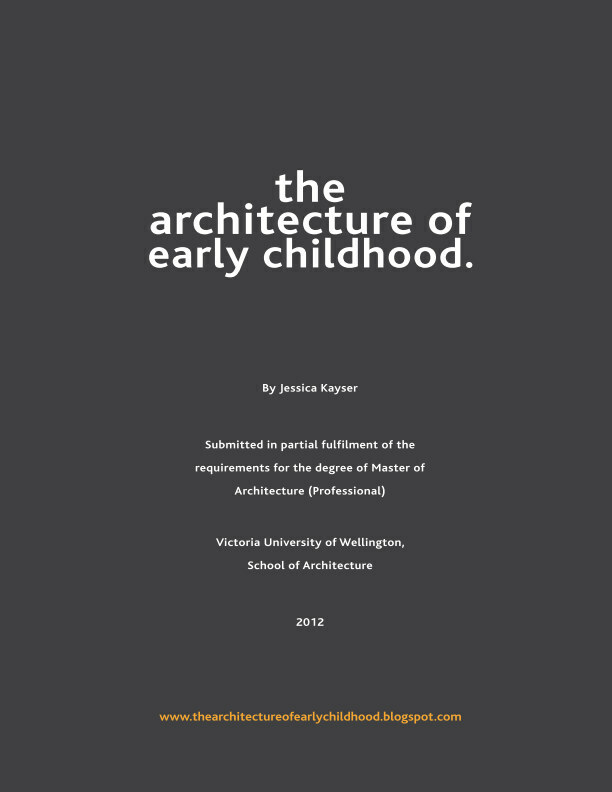 They also include articles, books and dvd's such as Mark Dudek's 'Kindergarten Architecture'. For full list see here. Overall, the Ministry of Education website focuses on facilities that support activities and the curriculum, as well as health and safety. 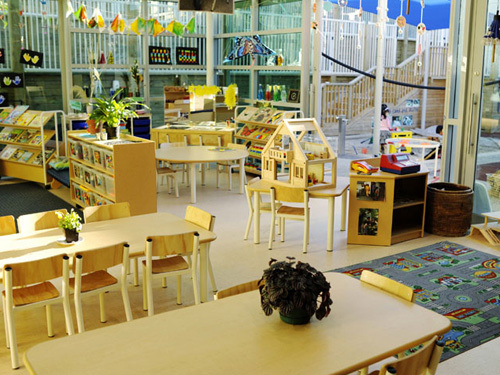 It does not inspire architetcurally designed creative and inspiring, well-designed and thought out architetcural spaces that support the child's entire well-being or hauora (social, physical, mental and spiritual). The site is also fairly confusing, as I had difficulty locating where I might find mention of architecture. On a positive note the links to resources that might guide the design process (including the book: 'Kindergarten Architecture') is very useful. Perhaps guidance can be improved with providing case studies that showcase the design process of centres that have been successfully designed by an architect in collaboration with the community guiding future centres to be the best they can be.